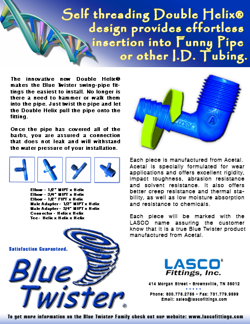 The innovative new Double Helix® makes the Blue Twister™ swing-pipe fittings the easiest to install. No longer is there a need to hammer or walk them into the pipe. Just twist the pipe and let the Double Helix® pull the pipe onto the fitting. 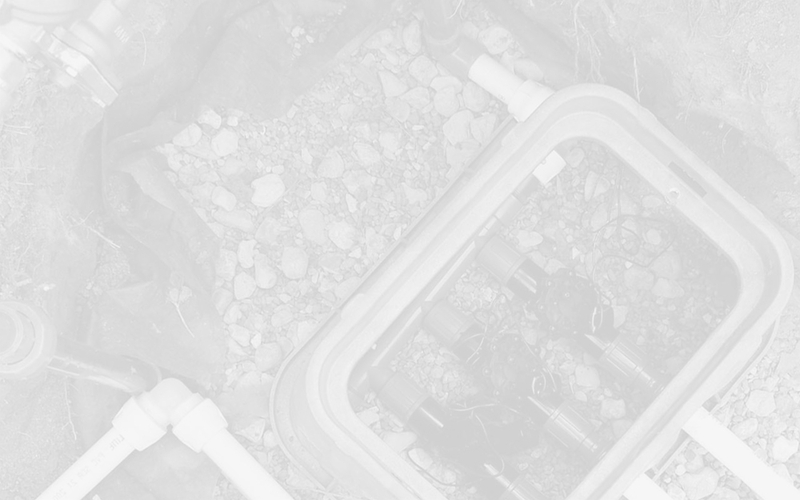 Once the pipe has covered all of the barbs, you are assured of connection that does not leak and will withstand the water pressure of your installation. If satisfaction is your goal, then remember… the difficult installation of typical swing riser fittings often leaves many of the barbs exposed, resulting in leaks and blow-offs. The ease in which the Blue Twisters™ can be installed into the poly tube makes it simple to cover all barbs and have a high quality installation. Cover all the barbs! 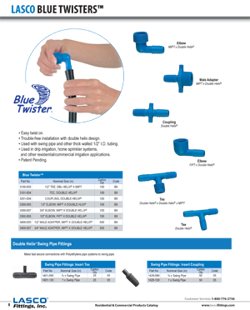 With the effortless assembly of the Blue Twister™ Swing Riser fittings, you can be confident that there will be no leaks. Just continue to screw the heavy wall “poly” pipe onto the fitting until; all of the barbs are covered! Your goal: a successful installation, every time!